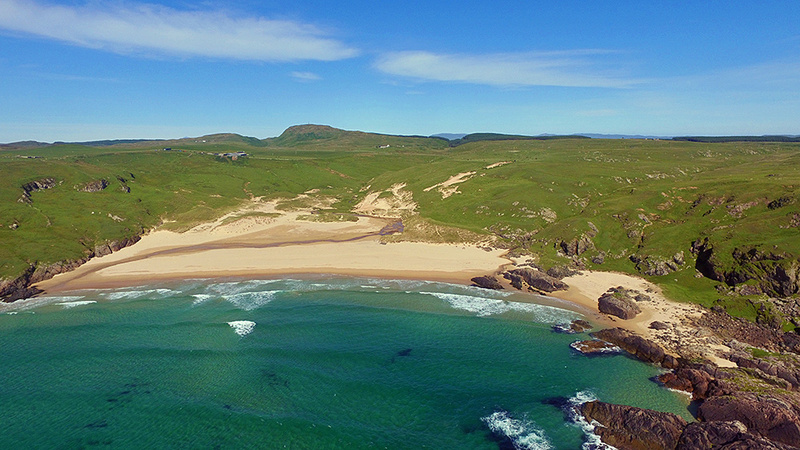 A panoramic view of Lossit Bay on the west coast of Islay, taken from a drone. Lossit Burn running across the beach and into the Atlantic on the left. The rocky coastline stretching out towards Portnahaven on the right. An aerial view of Lossit Bay on the west coast of the Rhinns of Islay, taken from a drone flying high above the Atlantic. In the distance Beinn Tart a’Mhill, at 232m the highest hill on the Rhinns.